Phnom Penh (FN), Sept. 14 – Political commentator Kem Ley’s brother Kem Rithisith, president of Khmer United Party (KUP), said on Friday, that Radio Free Asia (RFA) failed to attack the Royal Cambodian Government of the 6th legislature through its five-day poll. Kuch Ly, KUP’s spokesman, said that according to the poll, a majority supported the new Royal Government. He called RFA a “rebellious radio” of the fake democrats. 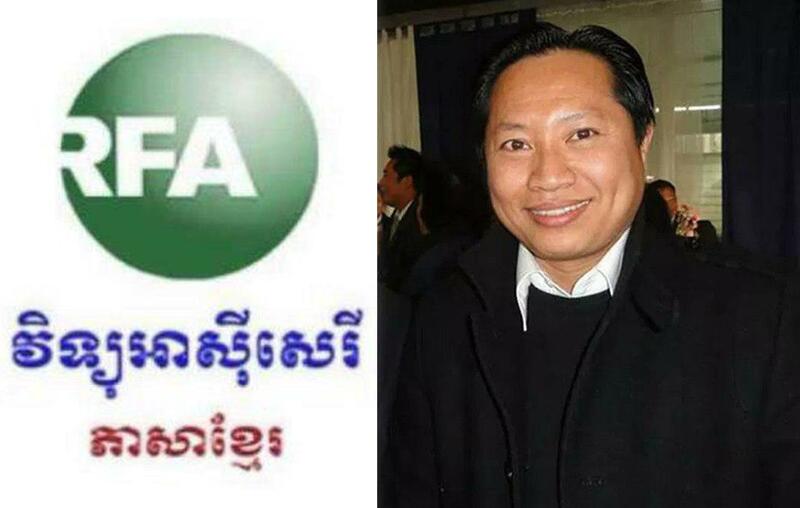 “RFA, based in US, is a rebellious radio supporting some fake democrats living abroad to disseminate inciting information and hatred between local and overseas Khmer,” said Ly. RFA is conducting a five-day poll on Facebook to learn from approximately 60,000 of their supporters’ perspectives on the newly established Royal Government of Cambodia. As of 14 September 2018, 90% of participating voters voted "recognized the new Cambodian government" on RFA's poll, while only 10% not recognized. Cambodian Youth Party President Pich Sros and former president of Khmer Power Party President Sourn Serey Ratha, on Thursday, sent an open letter to RFA urging her to accept the poll result and publish it.